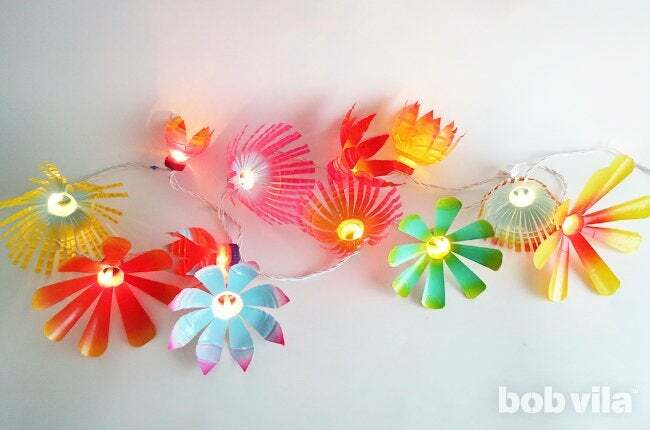 Enhance ordinary string lights with a festively floral makeover that will brighten your space—and mood. Thoughtful lighting is key to evoking a desired ambience in nearly any space. (They don’t call it “mood lighting” for nothing.) Cords of twinkling lights—a festive decorating favorite—are particularly versatile. They’re small enough to store, powerful enough to brighten dark corners, and easy to hang both outdoors and in. Use them to dress up your porch, patio, windows, trees—you name it. 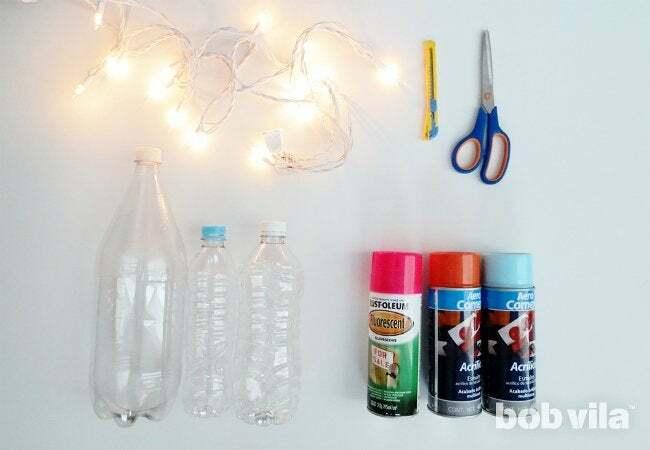 For a design that radiates a little more energy than your standard set, read on to learn how to upgrade the miniature lights you probably have left over from holiday celebrations, using merely recycled plastic bottles and a little imagination. First, round up your collection of recyclables for the week and pull out all the plastic bottles—any size will do. 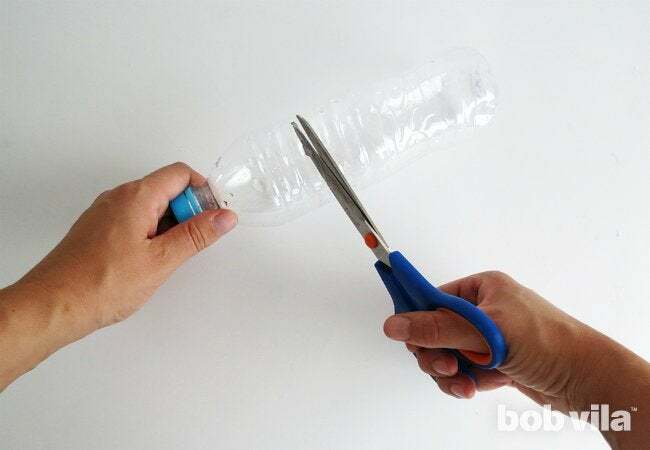 Using a pair of scissors, cut the bottom two-thirds off from each bottle. In Steps 2 through 8, you’ll transform the end with the cap into one of a variety of flowers. (You can toss the other end back into the recycling.) We’ll show you three petal options here, but if you get creative, you can design numerous other styles. For the look of a spiny succulent, cut the plastic into skinny strips, working from the fresh edge in toward the bottleneck. Then, when all strips have been cut, bend them outward to create a flower shape. To make a daisy, cut another cone-shaped bottle top into eight strips of equal width. 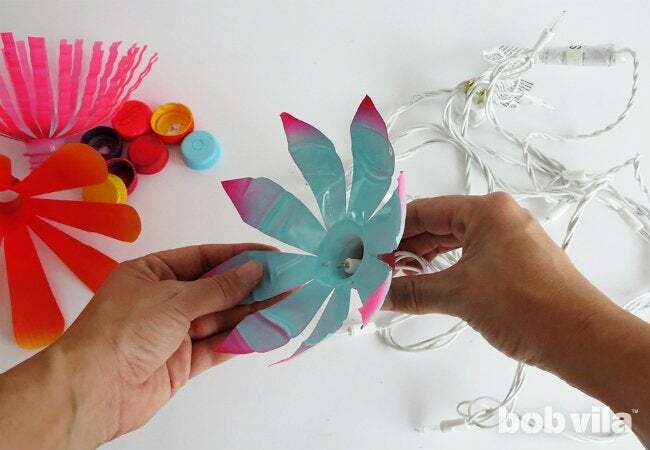 Fan the strips outward, then use your scissors to trim each strip into a rounded petal shape. 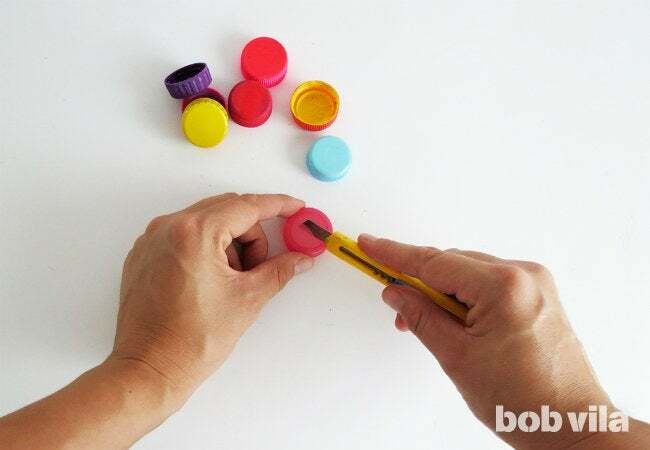 To make a bellflower, cut the bottle top into six equal strips. Then, cut each petal end into a teardrop-like point; don’t open up this particular bloom. 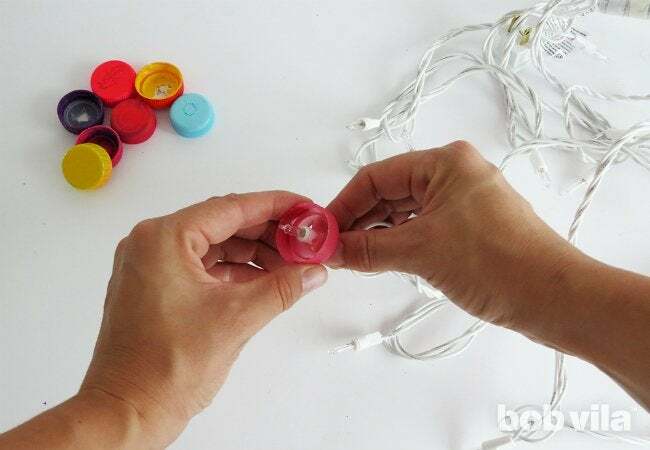 Repeat Steps 2 through 7 to make as many flowers as bulbs on your string of lights (or only half, if you decide that you’d like a little extra buffer between buds). Lay all the cut plastic flowers and their caps out on a newspaper-covered work surface, and spray them with paint. Be sure to use a paint that will adhere to plastic. 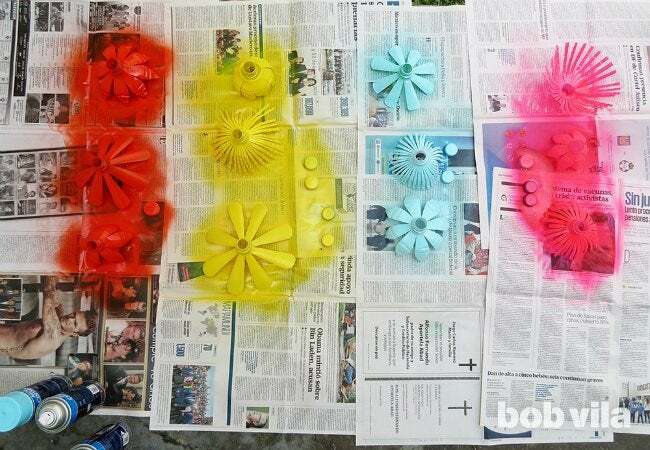 When that coat dries, you can add some details to the flowers with a targeted second coat of spray paint. For example, paint the center a different color, or add pattern to the petals’ edges in a darker hue. These flourishes will give the flowers more depth and are a whimsical nod to the authentic inspiration. Gather all the caps, and carefully cut a cross in the center of each, using a utility knife. 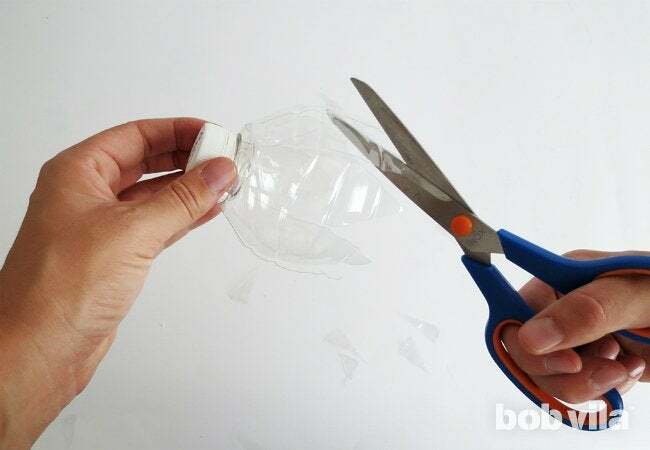 You should be able to push each tiny bulb through the cut section of a cap, from the top to the underside. 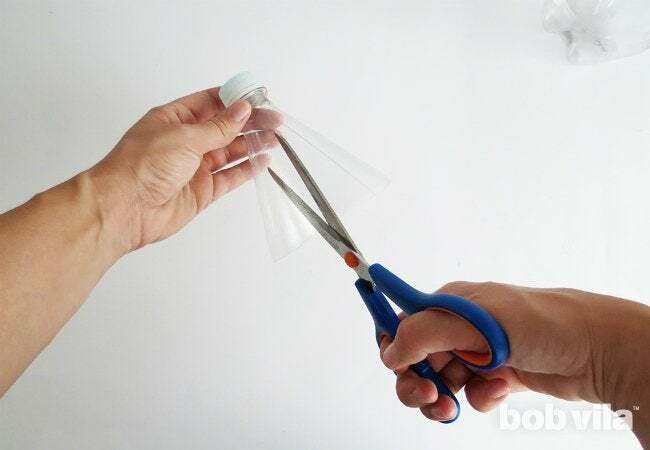 If the plastic cap is still too hard to work with, open up the cut with the tip of a pen, and then try pressing the light through again. Put a cap on every (or every other) light bulb. Screw a plastic flower onto a cap, hold it out to enjoy the effect, and proceed to attach the rest of the flowers to the caps. 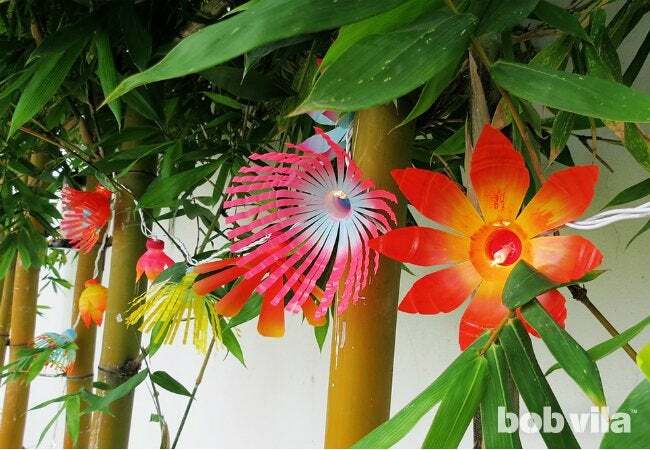 Now, for your next celebration, be it birthday or backyard barbecue, this tropical touch you’ve fashioned for an otherwise simple strand of string lights will really amp up the energy.